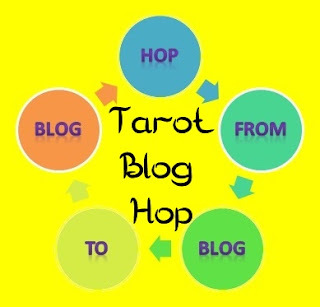 Welcome to the first Tarot Blog Hop of the 2019 season. Can you believe that this is the beginning of year eight for this community of awesome bloggers and Tarot/oracle readers? A big round of applause for our little community of writers. "Gee, mister writer-man, where do you get your ideas? How do you come up with wonderful ideas to delight young and old? And does it come in a convenient six-pack?" Some days, I need to write and I have no idea what to write. The key to writing a big enough backlist to make a living as a novelist is to write every day. Even when you have no clue what to write next. And then there are those days when not only do you need to come up with ideas for yourself, but you need an idea (a writing prompt) for one of your writing communities. That was where I was at about a month ago. Drawing a complete blank about what prompt to use with the Tarot Blog Hop group. I had volunteered to wrangle a hop. Again. Having not learned my lesson the previous seven times that I wrangled. The lesson that we have done everything possible with the Tarot, written all that we knew; and that this time, we will have no topic at all. 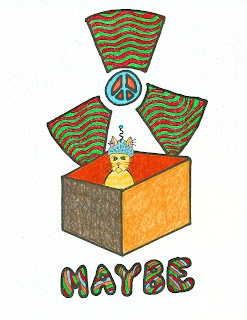 Yes, Tarot Blog Hop #57 was going to have no topic at all. We all knew that this day was going to come--that day when the shipment from the creativity department showed up empty. And it was here. I had written some ideas down over the past year, but I could not find my notes. I remembered writing stuff down--though for the life of me, I could not remember what I wrote down, nor where I put my notes. I decided to put off writing the sign-up and prompt sheet. It helped that I caught zombie pox and thought that I was going to die coughing up a lung or two. My muse decided to avoid me for a couple of days--zombie pox is catchy.Somehow I managed to survive the pox, and realized that I still did not have any clue what prompt to issue. I started to worry about it. Now, I assume that this is the life of every wrangler of the TBH. I could be wrong. And I imagine that we all have the same emergency plan: Pull out a Tarot deck; pick a random card, and call it a prompt. If nothing else, the emergency plan gives you some room to think. Or maybe that is just me. In the meantime, I was working on a project that involved astronauts and possibly ancient alien technology--you know, a Monday. At one point, I had a goddess telling a Caliph to be a good little boy because she like the white queen, believed six impossible things before breakfast. I thought of drawing a couple of Court cards to illustrate the work-in-progress (WIP). Then I thought about doing a whole Tarot deck using my WIP's imagery. You know--"What horrible things could this card foretell an unlucky astronaut?" I was considering the World/Universe card one day. And I said to myself, "That has to be one of the strangest associations ever associated with that Major Arcana." Then the light bulb came on. "Odd and strange associations--why not?" And that is how an experienced wrangler and cat-herder comes up with these brilliant prompts. 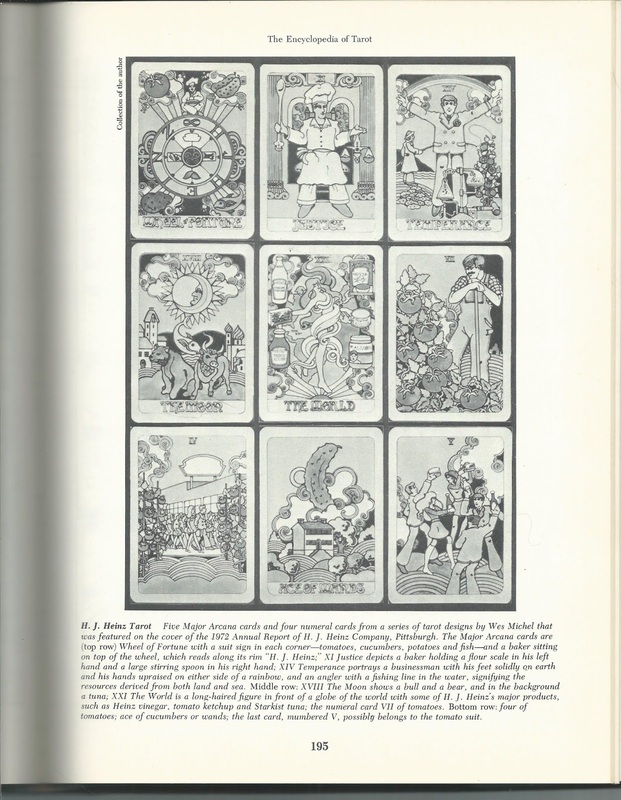 A few years ago, I was leafing through The Encyclopedia of Tarot Vol. 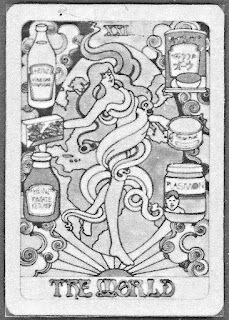 I (Stuart R. Kaplan 195) when I discovered that the 1972 annual report of the H. J. Heinz Company (Pittsburgh) featured nine Tarot cards by Wes Michel. 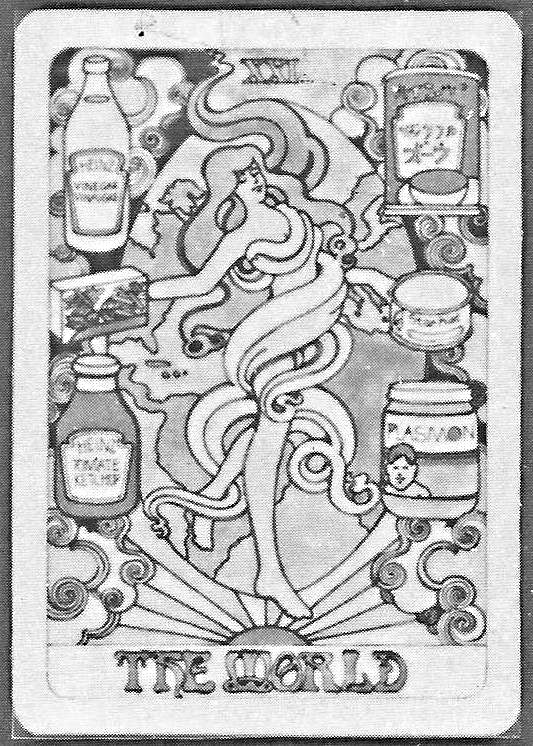 The basic symbolism of the Tarot were combined with upbeat images, and products from the Heinz 57 company. I am going to hang this on my fridge. Since then I have spent some time trying to find a color scan of the cover. Alas, no luck. I haven't let that stop me from imaging the colors. The best clean-up I could do with my skill and program set. Print out your own copy, color it, put it on the fridge. It is great fun. 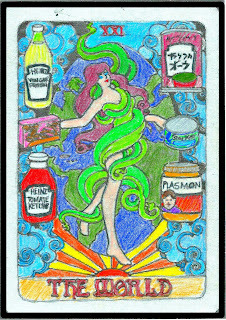 The original page of the only reference I can find to the Heinz 57 Tarot. I can't be the only person to do stuff like this, right? But it does make you wonder how someone at the Heinz 57 Company came up with the idea of putting Tarot cards, even company themed ones, on the cover of the annual report. Was it someone out in the fields, a farmer growing cucumbers, who looked around and said, "This is an Ace of Pickles type of day. Cheekly'D, let's get pickled!" One also presumes that there was a sighting of a bear and a cow under a full moon one evening, and someone saying, "That totally sums up our market plan for the next year." And by god, the accounting department was totally for it, "Let's hide our record breaking sales figures behind Tarot cards." Or maybe all successful companies and investors visit Tarot readers for stock tips, "Wheel of Fortune--totally invest in that stock!" Just so you know, I totally planned on telling that story before I figured out that this was the 57th Tarot Blog Hop. I like it when my muse rewards me with odd coincidences. And the Heinz 57 story reminds me of that one time at Burger King. . .
At some point, my co-workers at Burger King learned that I was a witch ("Wiccan") and Tarot reader. I suspect that it had something to do with my choice of break time activity--reading strange books. Whatever the reason, I became known as the evil cursing witch who would smile at you and tell you exactly what horrible cleaning job was in your near future. Not that cut down on my side hustle--my co-workers and their families were quite willing to trade government surplus cheese for Tarot readings. I think that it was my over-the-top reading style. "Oh dear, the seven of cups. Tomorrow, you are going to have to clean the shake machine. Nope. It does not matter that you would rather be eaten by a swarm of rabid hamsters. 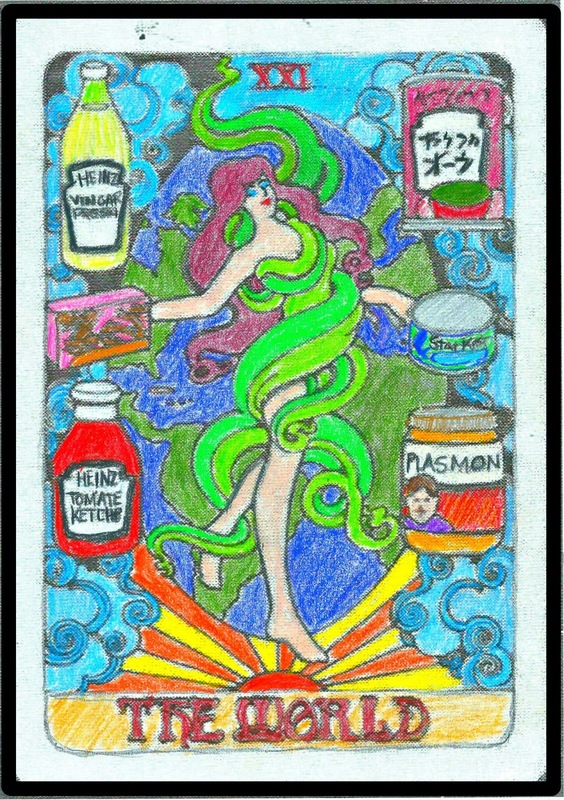 The seven of cups is all about poison, toxins, and nuclear waste. Clearly, that is the shake machine. Tomorrow, you are going to have to clean that mess. Better you than me." Next night, "You cursed me! Damn you, Morgan! Back to hell with you!" One could understand the feeling. For those of you brave enough to read this section who have not worked in restaurants, there is a small design flaw in the shake machines used by most fast food restaurants. And that design flaw is that you have to take apart the machine every night and clean it. You have to remove all the parts; take all the O-rings off the parts using a screw driver or other tool; and wash each part and O-ring with soap and water and sanitizer; and then fight to get the O-rings back on before reassembling the machine. It is just proper food and health safety. Unfortunately, this process occasionally nicks the O-rings; and thanks to the management being cheap and tight with a dollar, you are not allowed to replace them until the O-rings completely snap apart. As a result of this sound fiscal policy, every time someone uses the shake machine, a little bit of the shake mix is oozing though the nicks and into the back of the machine's cabinet. To compound the problem, management in another sound economic decision has only scheduled time once a week for some to unscrew the cabinet sides and scrape out the mess. It should be noted that this means you are cleaning out a grayish glue-like substance that is in the same family as the stuff one cleans out of the grease traps. Given my pre-meds bipolar five-sister attitude--professional sarcasm is our business--I might have predicted horrible cleaning jobs more often than the cards indicated. Still, it was an interesting time. . . Someday a Tarot of strange quantum animals. . .
Is Golden Dawn an odd association? Thanks to my wayward Tarot reading and general war against the more irritating of my co-workers, I did end up with some non-standardized meanings for the Tarot cards. And the geomancy figures. And some odd ideas about astrological configurations. I was a fun student. "Yes, I understand that is what some old dead white guy said that the card means; but no, that card--the Lightning Blasted Tower--clearly says that if you keep driving that way, you are gonna to throw an engine rod." By the way, that is not the reason that I am no longer welcome in Golden Dawn and other initiated circles. No, that is because I don't believe in the great myths about how the symbols of the Tarot was created by the wisest of men and handed down through the ages, "mouth to ear" oath-bound and secure. I think that people started making up stories about the Tarot. "Piers Anthony wrote a book using the Tarot as a framework. And there was Tim Powers--though in all fairness, that was about poker cards. Besides the historical record makes it looks like Tarot started out as a game, maybe a gambling game, with a little symbolism and foretelling tossed in after the fact. I understand that you love the super-Enoch initiation theory, but you don't have the evidence to tell that story." A lot of writers use the Tarot. I blame National Novel Writing Month for a lot of it. "Have no plot. Have no idea of what the next scene should be. Get a deck of Tarot cards. Draw a random card--write a random scene." One year, they (the people who write the NaNoWriMo pep-talks) suggested this to the crazed monkeys hacking out novels. I read the email. Later on, the expert that wrote about it expanded the idea into a whole book (Tarot for Writers--or something like that--I don't dare go look or even Googlize it because the cat will think that I am done writing). Recently I combined the idea with a story structure work sheet that I grabbed from Layer Your Novel (C. S. Lakin). One card per scene. Lakin teaches that one should have three plots/subplots to flesh out a novel--figure ten scenes per plot/subplot and one ends up with a thirty card spread. I am not sure that I would advise one to actually use this or not; I am using the method to practice my story structure building skill. So looking at just one plot (your base plot) one would draw ten Tarot cards. Note that the percentage here are based on Lakin's theory that satisfying novels have certain types of scenes at various points in the story--that there is a common structure that underlies successful novels. Different Tarot decks for different types of stories. "Yes, I do own a rather racy Italian Tarot deck for erotica." I have a pink deck (okay it is not completely pink--but all other colors are just echoes of the pink) that I use for romance; this is based on the idea that if this is the deck clients choose when they are asking for a "love reading," then it probably good for romance story plot lines. "Yes, I do write romance--but as my wife describes it--the crazy happens in outer space." You laugh, but I have described one of my WIPs, Axe Murderer of Titan, as a romance story. Another trick is re-arranging the cards. It is kinda like looking at a client and saying, "This would be a far more interesting reading if these two cards were exchanged in position. Now, not only are you cleaning the shake machine, you are doing it while arguing with your boyfriend. Hey boss, can I have tomorrow night off?" Cards in the same position, but of different subplots play off of one another. Remember three columns of cards for three subplots. "Thirty scenes, you can do it Tarot--give me an outline of a successful novel. Daddy needs a new hot water heater!" Of course, because I abuse my Tarot cards this way--a self-proclaimed Golden Dawn expert told me that I am soiling the cards, not treating them as the holy object they are--I end up with Tarot imagery in my stories, even when I am not using the Tarot to brainstorm plots. One time at space camp. . .
My latest bit of odd Tarot imagery crept in when I started thinking about what a New Egyptian astronaut good luck ritual would be like. It should be noted that the New Egyptian religion is a strange mashup of Wicca and some odd things I have read about the Ancient Egyptians, issued sometime after a group of seven angry women decided that they were not going to out up with those type of men any longer. The prayer is being said before a rocket launch. "Look, someone left the Wiccan Cakes and Ale next to the Golden Dawn Mystic Repast with a version of the Universe card painted on the floor. Gee, this is going to be a good one. And if they did not want me to use the parts to build a Frankenstein monster, they should have bolted it down better." Yes, I took my symbolism borrowing technique from my father's "If they did not want their tools stolen, they shouldn't have left them on the job site." My father own a couple dozen hammers. So basically, I want one line per element. 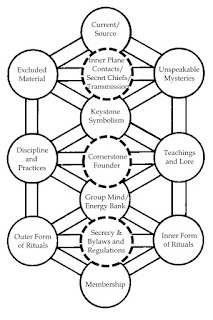 And I want to tie it into the image of a spaceship's escape pod--which in turn, in my head, is connected with the Major Arcana of the World/Universe. An escape pod has already shown up in the story by this point, and I know that another one shows up later in the story. The artistic and conceptual difference between the Universe/World as seen by us on the ground and spacers is the difference between a planet and a spacepod. The Earth gives us air, heat, water and food, as well as gravity. A spacepod has to provide air, water, heat/or protection therefrom, and food to its occupant. In my mind, the two versions are saying much the same thing. My biggest difficulty at this point is that I have no idea how to symbolically show "heat" in the spacepod version--open flames are not good in contained space capsules. "May you never boil." Air. By the way, it is the lack of air pressure that makes your blood boil in a vacuum. "May you never freeze." Fire. In my system of magical training, fire safety is taught. "May you never thirst." Obviously water--which takes the form of floating spheres in the absence of gravity. "May you never hunger." Earth. Some form of bready product--it is an Egyptian prayer, after all. I still want to add a line about gravity, or the protection of a spacepod. I sure that I will think of something witty. Or I may farm it out to be written by Facebook. And yes, there are other texts and symbols systems that I am abusing. For instance, there is my witty rewrite of the Forty-two clauses of the Ancient Egyptian Negative Confession from the Book of the Dead (also known as Coming-into-the-Light). . .
And that is the power of Odd Associations and the Tarot. Now go forth and tell stories. Thanks for reading, and consider checking out some of the other blogs from this blogging and Tarot writing community. Fan of the Tarot Blog Hop? Check out our new group for fans on Facebook. Wow!! I love your technique here--copied it and will be learning and using it...I think you've shown me an entirely different mantra to use to understand Spirit--thank you!!! First, every time I open one of those volumes of the Tarot Encyclopedia I learn something new and am floored by how little I know about tarot. I don't remember seeing the Heinz 57th Blog Hop World card before, but my life is one step more complete now that I have seen it. Second, I must hear your witty rewrite of the Negative Confession. Let's just see if that perhaps comes up as the topic for the next time I wrangle.